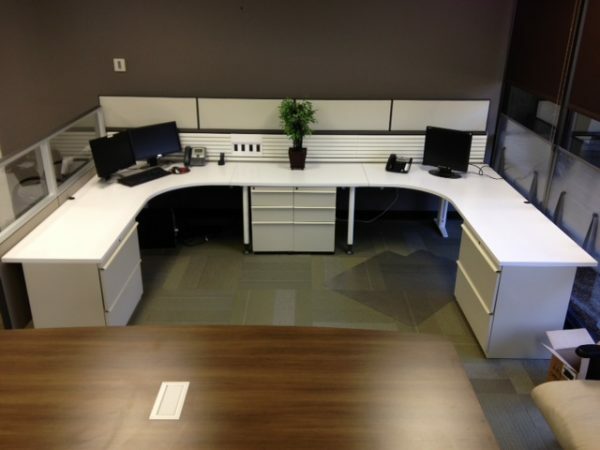 Knoll Currents/Morrison cubicles that can be configured into 6×7 or 7×8. Pictured is a shared 12×7. These stations have a modern look with tiles, glass accent and belt-line power. BBF and 2-drawer lateral file. good as-is condition and available now. Sold in packs of 8. Free design!